The S2216H is a low cost budget IPS screen with a 21.5″ viewable area. Having owned a 22″ monitor I would always suggested this size isn’t great for playing games on but then the low cost and compact size might be the whole appeal for you, so I’ll leave you to make your own minds up on that one. 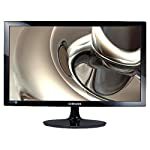 If you are looking to go cheaper still, there is a VA panel version of this monitor. As you would expect from Dell, the S2216H is a well formed and smart looking monitor that is going to look good in your home office. It’s slim in design and has super slim bezels framing the edge of the monitor, it’s pretty much what I’d be looking for from a display so it’s nice to see this in an affordable model. Connectivity is fairly limited, there is a VGA and HDMI port but that should be enough if you are just planning to hook up your PC. The VGA port means it should work OK with older PCs too. HDMI isn’t going anywhere soon and almost all modern graphics cards will be compatible. The stand doesn’t offer much in the way of adjustment and it doesn’t look to be VESA compatible either. But at this price you aren’t going to get everything. This is a good quality screen and will give you a good quality image. The feedback from user reviews looks very positive. Dell are known for their good out of the box performance and this is based on an IPS panel that will typically give superior colour reproduction versus cheaper alternatives. This isn’t built for gaming, but again, looking at user reviews I see no obvious complaints. Reports of ghosting free game play and quality images can be read. It’s not going to match up to a 144hz gamer screen in terms of responsiveness and neither does it have adaptive sync to prevent tearing. For a compact low cost IPS screen the S2216H looks hard to beat. We give the Dell S2216H a 4 out of 5 rating. Want to know what existing owners of the monitor think? You can read real user reviews here. Should I buy the Dell S2216H? A cheap IPS screen with a small footprint. Ideal for a space limited home office. The built in eye care features will make this appealing for those with long hours in front of the screen. If you are having some doubts about this purchase then why not read some real owner reviews and see what other buyers think. Welcome to the Dell S2216H FAQ. This section attempts to answer common questions you may have, please get in touch if you have any more queries or if you think our answers need updating. Does the S2216H have VESA mounting? Not that I can tell. The DELL website mentions VESA mounting but an owner on Amazon notes that there is no such attachment. If anyone reading this has one, do let us know! No, I’m afraid not on this model. I’m not sure what you are asking, almost all monitors can surely have the brightness lowered? Are you looking for a monitor which has built in eye care, flicker free, low blue light mode, etc? 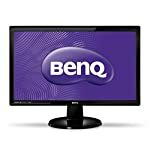 How about this 22″ BenQ?